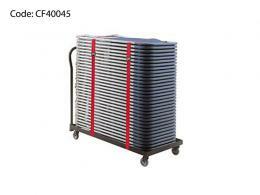 What is the purpose of the byfold chair storage trolley? This storage trolley for the transportation and remote storage of our byfold chairs is our best and easiest to use storage vessel. 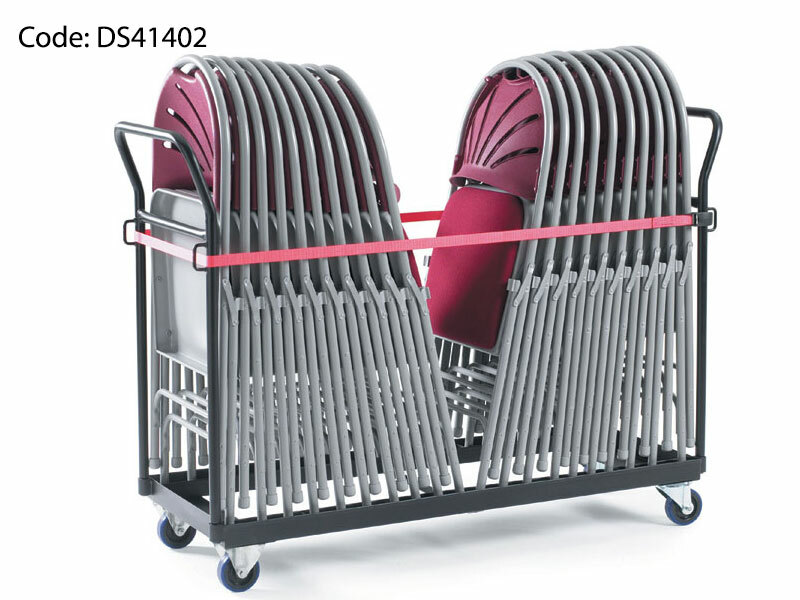 Byfold chairs can easily be stacked into the trolley right side up and then wheeled to their place of storage or to the place where they are needed for assembly. 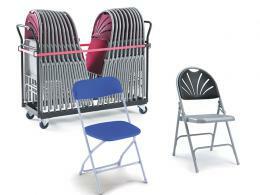 The chairs can be held onto the trolley by a nylon straps available separately that runs along the sides of the trolley. The trolley features a push handle at a convenient height that allows quick and easy movement of the trolley. Free-swivels castor wheels allow smooth rolling and a wide base gives this trolley stability, making it less likely to tip over when loaded with chairs. This trolley is not just a convenient means of conveying the chairs, it is also a neat and compact means of storage that keeps the chairs stack in an orderly way that takes up a minimum of space in the closet or shed where they are kept. 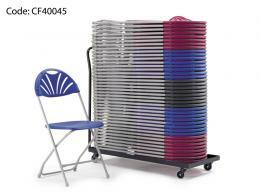 The byfold chair storage trolley is a behind-the-scenes item that is kept in storage closets, janitor’s rooms, boiler rooms, sheds and other places where assembly and convention necessaries are maintained until they are called for. Any member of your facility staff who is frequently required to move byfold chairs will appreciate the ease and convenience of this trolley.